But is it true that the Church of the Nazarene does not have a role for apostles and prophets? This premise is doubtful. In W.T. Purkiser’s classic The Gifts of the Spirit (Nazarene Publishing House, 1975), he understands the prophet to be the preacher, the one who speaks forth God’s Word, the Bible. Likewise, an apostle (Greek apostolos) is one who is sent by the church with a message, crossing over cultural and/or linguistic barriers. For this reason, Paul Orjala, the late Professor of missiology at Nazarene Theological Seminary, taught that the “apostle” is the biblical term for missionary. As we look at the book of Acts, this fits what we see in the lives of Paul, Barnabas, and Silas. While they church planted and certainly maintained some influence over congregations long after they had moved on to the next city, it would be a stretch to say that they governed those churches. The closest we see to a governor in the New Testament is the role of overseer or bishop (Greek episcopos — Titus 1:7-9, 1 Timothy 3:2). Holiness and Healing, in its laser focus on Ephesians 4, does not grapple with other passages (like the verses referenced above from the Pastoral Epistles) that don’t fit into the fivefold ministry model. It’s not surprising historically that different groupings of churches have set up their government in different ways. Bohi and McCorkle appear ready to impose the fivefold ministry model on all churches when in fact God has used various models across the centuries to grow His Church in diverse countries and cultures. Some of these models appear in the New Testament, but only in embryonic form. In-light of the underdeveloped doctrine of church government in the New Testament, we should tread lightly in this area and be flexible with those who interpret the issue otherwise. Chapter 5 is entitled “The Ministry of Impartation.” Here Bohi and McCorkle recognize that they are venturing into an area that is controversial, citing a pastor who complained to his district superintendent about them teaching something unbiblical (location 1328). The biblical defense they make of the doctrine of impartation is broad-ranging. Of special interest is their crediting Randy Clark as shaping their thinking and practice on the topic. The reader may wish to perform an internet search using the key words “Randy Clark impartation.” In one video produced by critics of the New Apostolic Reformation (NAR), Clark speaks of God the Holy Spirit as an “electricity.” In a nearly 10 minute segment, he is seen laying his hands on a row of pastors, some of whom begin to make odd, jerking movements or fall backwards into the hands of “catchers.” (Psychologically, calling catchers to line up behind the pastors even before Clark imposes his hand on them gives a strong message to all of what is expected). One woman falls to the ground shrieking, as strange laughter infects others, reminiscent of the bizarre “Toronto Blessing” that broke out in 1994. There is no question that some power is at work here. What I wonder is: What is the source of that power? We know that the fruit of the Holy Spirit is self-control (Galatians 5:23a). Self-control is a missing ingredient in this video, yet we know that when Jesus touched people, chaos gave way to order. (I am grateful for this insight offered by a Nazarene theology student from Malawi who has sometimes attended charismatic services in his country, and also watched the Clark video). For example, in Matthew 17:14-20, Jesus healed a young man with epilepsy caused by a demon. Out of chaos, following Jesus’ touch, calm ensued. In the Clark video, the opposite appears to be going on. Clark touches a row of well-ordered, calm pastors, and chaos ensues. This is a reversal of the divine order and on that basis is suspect. A single video is not enough to draw a definitive conclusion, but it is enough to make me wonder why Bohi and McCorkle endorse Clark so enthusiastically. At very least, further discernment is needed. At one point in the book (location 2868), Dan Bohi speaks of having seen people raised from the dead, but gives no details. Where did it happen? When? Who was raised? Did someone take a video on their smart phone? We know that when Lazarus was raised from the dead in John 11, the word spread like wildfire. So, if Bohi’s claim is true, why do we read about it for the first time in a book? If this happened, would it not have been trumpeted on TV, the internet, or social media? Could God still raise someone from the dead, and use a human instrument to do so? We must not limit God. It could happen. Has God done so since the time of the book of Acts? If God has, then it has escaped any mention in church history. (Let my readers correct me if I am in error. Church history is, after all, a vast field). Apart from the resurrection of Christ himself (Matthew 28:1-10, Mark 16:1-8, Luke 24:1-12) and the handful of other resurrections mentioned in the Gospels and Acts (eg. Mark 5:21-43, John 11:38-46, Luke 7:11-17, Acts 20:7-12), I am aware of no other undeniable instances of resurrection. We believe that resurrection will happen again at the return of Christ (1 Thessalonians 4:13-18; John 5:28-29). That is a tenet of our Christian faith and is even contained in the Nicene Creed that we often recite. However, because Scripture and Creed frame resurrection as an eschatological hope, a future “harvest” based on Jesus’ resurrection as the first-fruit (1 Corinthians 15:20), we should be skeptical regarding claims of resurrection prior to Christ’s return. Finally, there is the issue of love. John Wesley (1703-1791) could not speak about Christian Perfection without talking about love. This is captured in Mildred Wynkoop’s A Theology of Love: The Dynamic of Wesleyanism (1972), for which a second expanded edition was released in 2015. 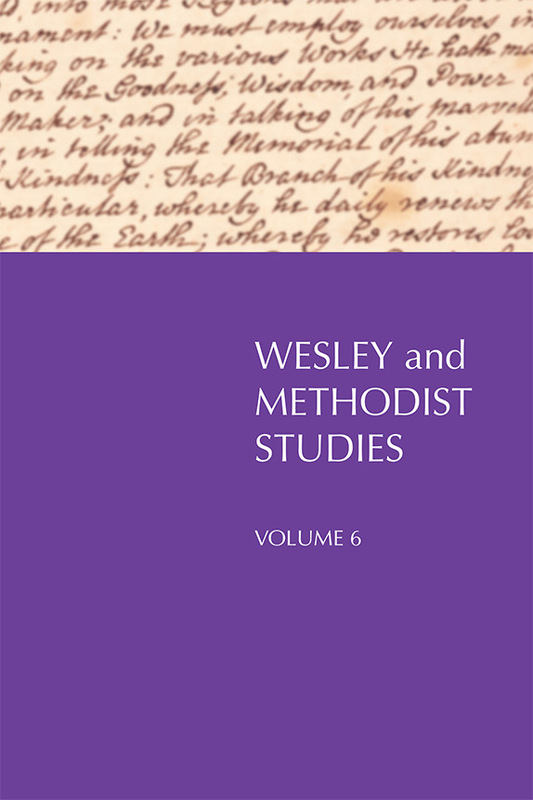 She brilliantly surveys Wesley’s Works and notes that he connects holiness with God increasing our love for Him and others, which is the essence of sanctification. At the time she wrote, her theology was controversial among Nazarene theologians since until then they tended to view holiness mostly through the pneumatological template of the American Holiness Movement. Wynkoop changed that by downplaying Spirit baptism and instead emphasizing love as the hallmark of holiness. By doing so, some believe that she saved many thoughtful young Nazarene clergy-in-training who had grown weary of a revivalism model that stressed an emotional “crisis” over the seemingly more pedestrian process of discipleship. In the late 1970s and early 1980s, the question of Spirit baptism and whether it happens when we are born again or entirely sanctified was hotly debated by Nazarene scholars, as seen in the pages of the Wesleyan Theological Journal. Wherever one comes down on that debate, Bohi and McCorkle assume Spirit-baptism is subesquent to conversion, an important pre-supposition in Holiness and Healing. Rob McCorkle testifies: “Finally, when I was able to stand up, Randy (Clark) laid hands on me and started praying a prophetic prayer that I would be used by God to redig the wells in the Holiness movement” (location 1386-1387). It is apparent that “redigging the wells” means an emphasis on the American Holiness Movement template, but now supplemented with a Pentecostal/Charismatic injection. As the authors themselves note, the Pentecostal Church of the Nazarene at the General Assembly formally dropped the word “Pentecostal” from the denomination’s name in 1919 due to its increasing identification with the Asuza Street Revival understanding of glossolalia as the evidence of Spirit baptism. (See Nazarene Manual 925, where the fruit of the Spirit, not glossolalia, is affirmed as the evidence of the baptism with the Holy Spirit). Bohi and McCorkle call the division between the Church of the Nazarene and Pentecostalism “tragic” (location 2191). In an April 5, 2016 Facebook post for Dan Bohi Ministries, Bohi promotes “Asuza Now,” the commemoration of the 110th anniversary of the Asuza street outpouring. I have great respect for my friends and missionary colleagues who are Pentecostal, but this respect does not extend to promoting a movement from which one of our key founders, Phineas F. Bresee, distanced himself, a distancing that Bohi and McCorkle criticize (location 2186). Unfortunately, in Holiness and Healing, the emphasis upon power and the miraculous eclipses the more mundane theme of love. Paul inserted 1 Corinthians 13, his teaching on the supremacy of love, between two chapters that treated spiritual gifts. By contrast, after much emphasis on the miraculous, Bohi and McCorkle only mention love in the last few pages of the book, almost as an afterthought. This may be one weakness of the power-purity duality. Does it leave room for other themes equally pertinent to the biblical meaning of holiness? Clark Pinnock entitled his 1996 theology of the Holy Spirit Flame of Love. Like Pinnock, as a key supplement to power and purity language, let us also speak often in the same breath of the Holy Spirit and love. At the beginning of this review, it was underscored that criticism in itself is not enough. Viable alternatives must be introduced. As an alternative to the high-octane revivalism espoused by Bohi and McCorkle, another model presented in Acts is more low-key. Acts is filled with stories of small groups. Handfuls of believers met in homes. Oikos (household) evangelism is in evidence multiple times, such as with Cornelius (Acts 10), the jailer in Philippi (Acts 16), and Lydia of Thyatira, the seller of purple cloth (Acts 16). It was in these small groupings of Christians that the love of Christ was exemplified for all to see. In Jerusalem, the Holy Spirit’s arrival on the Day of Pentecost resulted in 3,000 conversions, followed by small group meetings in their homes where they shared food and likely celebrated the Lord’s Supper as well (Acts 2:46). They would later do the same in other cities such as Corinth (1 Cor. 11:17-34). James 5:13-18 portrays how divine healing operated in such a setting. In the 18th century, the use of small groups was John Wesley’s way of conserving the fruit of the Methodist movement. The system of classes and bands that he put in-place was critical in promoting holiness among the early Methodists. If we are looking for a model to follow to bring renewal to the Church of the Nazarene in North America, we would do well to pull out all the stops and fully implement this one. This essay should not be seen as a conversation ender, but a conversation starter. Surely God will give us wisdom if we ask (James 1:5). God has obviously done a great work in the lives of Dan Bohi and Rob McCorkle. They testify to the grace of God, and for that, I give thanks! Many have been saved, sanctified, and healed by God through their ministries. We praise the Lord for every need met, and give all the glory to Him. Nonetheless, the same passage in Ephesians that speaks of equpping the church for ministry warns us to be on guard against winds of doctrine and those who would deceive us (Ephesians 4:14). In their strong endorsement of Randy Clark , have our brothers Bohi and McCorkle done their due diligence? Together as Nazarenes, we must constantly be “testing the spirits to see if they are from God” (1 John 4:1a). We all desire the same thing, for God to renew the church. The question is: What is the best means for this hope to become a reality? 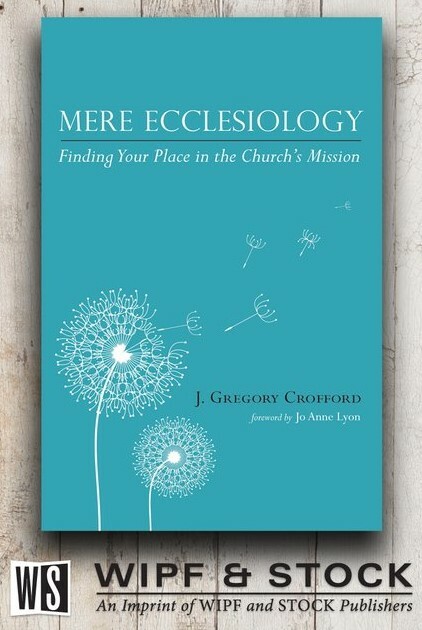 Rather than marrying ourselves to a form of revivalism injected with a large dose of Pentecostalism as a cure-all for lethargy in the church, let us look to the Acts pattern of small group discipleship, a model for holiness, healing and accountability that is both biblical and true to our Wesleyan heritage. I appreciate the comment. Let’s continue the dialogue and pray that God would give us unity as we seek the Lord’s direction. Greg: Thank you for this thoughtful review of this book and the “movement” at large. I also appreciate your review of our roots and history, which rings true to my memory of 50+ years in the Church of the Nazarene with my first significant mentoring coming from Morris Chalfant (son of E.O. Chalfant) who helped me better understand the role of the Holy Spirit in the Church and individuals. We are who we are as a church, not by accident but through years of deliberate study of God’s Word and moving through history in the direction that God has guided our Nazarene forefathers. That should not be quickly tossed out as a result of a few (or even many) experiences that differ from what has been settled…or avoided. Thanks, Daryl, for your comment and affirmation. It is always with a certain amount of fear and trembling that I open up such a conversation. I agree that our trajectory historically as a denomination is on a different path, and that this is no accident. Thanks for reading. Thank you, Greg. Very well written. I share your concerns. Thanks, Dr Middendorf. I appreciate the kind word. I am grateful, Dr, Crofford, for your book review and attention to this movement, the New Apostolic Reformation, as presented in the book. I heard teaching in the COTN from a missionary who taught C. Peter Wagner’s (another name to google) “Third Wave” in 2005, and “breaking generational curses” in 2006, and later found these in two of the missionary’s books. He had been a grad student of Wagner at Fuller. At the time, we did not know where this was coming from. in 2010, a COTN pastor close to us was pulled into this movement through attending a conference on “power.” He bought into it all, including the NAR foundational teachings of Word of Faith. He is no longer a COTN pastor, has remarried an NAR prophetess who also was Nazarene. Then it came to our home church in 2013 through a pastor who is openly a Bethel Church/Bill Johnson follower – also a co-hort of Dan and Rob. We heard the key teachings (Kingdom Now, 7 Mtn Mandate, gospel of power, etc.) from the pulpit, and promises of impartations, activations and manifestations. This led us to discover the NAR. It divided the church. I may be bold in saying all this here, but it deserves our serious attention. I say it to communicate that this movement is divisive to churches and families. It damages persons spiritually, emotionally and financially. What I have learned, not just about error, but about people’s lives is heartbreaking. Thank you, Darla, for sharing your story here. Since writing the post, you’ve written to remind me that many Pentecostal-type denominations have distanced themselves from these phenomena and teachings. That’s an important corrective to what I have written. You’ve motivated me to research further, and – as needed – sound the alarm. A very fair-handed and well-written review. Interesting to note that when the charismatic breakout occured in Azusa, Phineas Bresee was not convinced it was a move of God. On that matter he was quite right. Thank you, J. Dean, for your comment. I’m sorry that we lost you, but pray the Lord will lead you to a place of fruitful service elsewhere in the Church and Kingdom. P.S. — The paper you link has no author’s name attached. Was this an oversight? McCorkle is now coming locally to my former Nazarene Church. Years ago the same pastor denied a request to bring in Bohi because of his concerns about the teaching, but for some reason McCorkle is now ok, when the teaching in this book is even closer and overtly following Clark/Johnson/NAR than anything written before. My former pastor told me he was very much against the NAR and Bethel movement but “their force is strong among us.” and continues to move away from teaching the theological differences. By the way – there’s a significant teaching of kenosis espoused in this book as well. A big issue that Johnson uses to encourage his followers to do everything Jesus did. 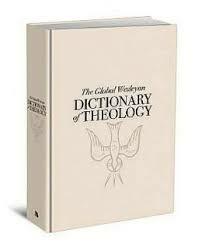 It’s fundamentally core to the NAR and, unfortunately, leads to the “arms race” of spiritual works to gain approval. Thank you, Michael, for your comment. I’m glad that you found the review to be helpful. Let us pray that the Lord will give us discernment. Amen. And the openness to discuss in love the implications of their espoused position. Well done and very thorough. Thanks, Greg! Thanks, Stan. I appreciate the affirmation.